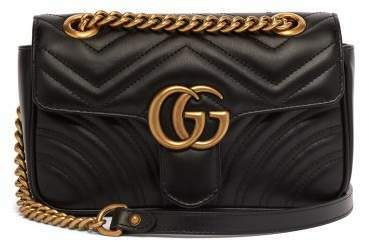 Gucci - The GG Marmont mini bag is a new staple in Gucci's offer. 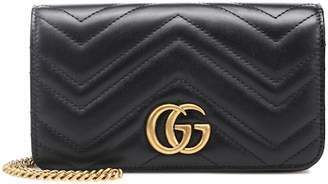 It's crafted in Italy from black chevron-quilted leather, with an antiqued gold-tone logo plaque and chain. On the back, a tonal heart is discreetly stitched into the leather – a detail lifted from the house archives. Carry it with impactful prints to embrace the brand's maximal approach to styling.